Located in Cheyenne, Wyoming, the Law Office of Shelly Kay Flot, PC, provides clients with assistance in family law, personal injury and bankruptcy matters. With over 20 years of experience, Ms. Flot has an in-depth knowledge of the Wyoming laws, which can and do affect the lives of her clients. Ms. Flot has extensive experience in identifying the financial consequences of an injury or unmanageable debt or a divorce. Since an injury can derail your ability to work and the division of marital assets can harm your existing finances, Ms. Flot advises her clients to focus on minimizing court and legal costs while maximizing positive outcomes. At the law firm of attorney Flot, consumers facing bankruptcy, families in divorce and injured workers all have equal access to passionate and committed legal representation. Attorney Shelly Kay Flot has been serving clients throughout Southeast Wyoming since 1991. Her no-nonsense approach to litigation has helped her guide clients through difficult and complex legal conflicts. When you are considering ending your marriage, adjusting child support payments or getting compensation for an injury, retain an attorney for optimum results. 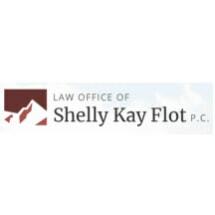 Shelly Kay Flot is licensed to practice in Colorado and Wyoming. Her practice is founded on offering clients legal and general advice to address and alleviate their immediate worries. By understanding that human emotions are particularly volatile in family law, personal injury and bankruptcy cases, attorney Flot has used a holistic legal strategy to stabilize her clients' financial future and secure their legal interests.